Over the course of the next year, there will be much talk about Democrats who are or are not keeping distance between their own reelection campaigns and that of Barack Obama. This is as it should be when you've got a president running with sub-50 percent approval ratings. But is too much to ask that reporters and pundits exposing the defectors bother to find people who were actually, you know, with Obama to begin with? Take the front-page story in one national newspaper today headlined "Wayward Senate Democrats Keep Distance From Obama," which chooses to focus on Joe Manchin of West Virginia. Manchin, the story reports, is being distinctly coy about whether he supports the president and his agenda. But what's new about this? Manchin, as the article notes further down, is the person who, in running for the late Robert Byrd's seat last year, shot an ad in which he fired a shotgun at the House Democrats' Obama-approved cap and trade bill on carbon emissions. 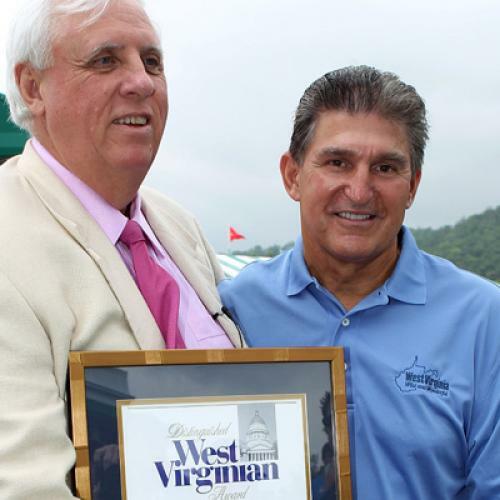 And even if Manchin had been running in 2008, when Obama was vastly more popular nationally, odds are he would not have been bear-hugging Obama, who lost the West Virginia primary to Hillary Clinton by 41 points and lost the state to John McCain by 13 points. I'll say it yet again: people need to think more about this map, which shows the huge swath of territory, including West Virginia, where McCain fared better in defeat than George W. Bush did in victory four years earlier. Yes, Obama has suffered a considerable drop in support nationally since 2008. But this is a country of states and regions, and there are parts of the country that were distinctly resistant to him even when he was riding high. Barack Obama is no Muhammad Ali. He took a walk every time there was a tough vote in the Illinois State Senate. He took a walk more than a 130 times. That's what a shadow boxer does. All the right moves. All the right combinations. All the right footwork. But he never steps into the ring ... Hope? Change? Yes We Can? Give me a break! I've got news for all the latte-drinking, Prius- driving, Birkenstock-wearing, trust fund babies crowding in to hear him speak! This guy won't last a round against the Republican attack machine. He's a poet, not a fighter. A reporter looking for a Democrat or Democratic ally to dump on the president knows there are people who are guaranteed to give good quote. And so it's always been. But don't call those defections. There are plenty real defectors out there -- it shouldn't be that hard to find them.